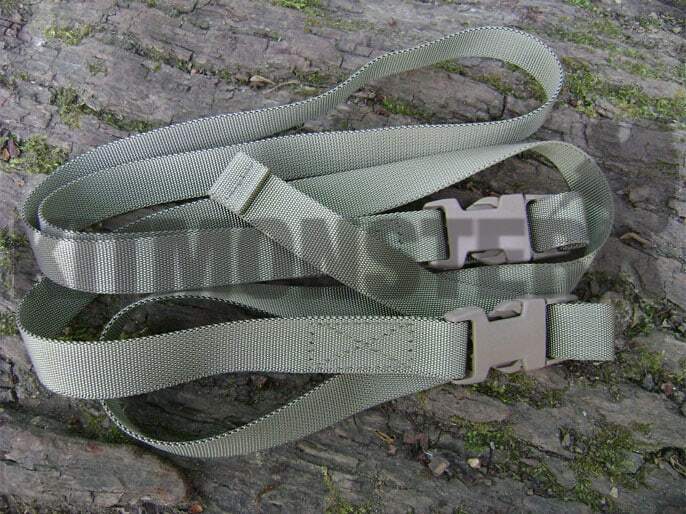 Pair of PLCE quality utility straps in Light Olive for Multicam and MTP. 2 x Light Olive webbing strap with Nexus brand quick release buckle. 2 x 99cm, fully length adjustable. Uses limited by your imagination and needs. Suggestions include fixing sandbags, bashas, kip mats or digging tools to packs, keeping rope tidy, or even as belt.